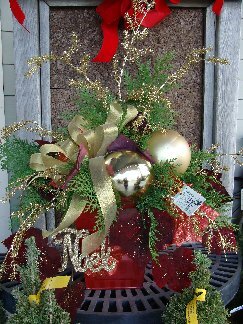 The biggest holiday tradition here at Hillermann Nursery & Florist is creating. As soon as the week of Thanksgiving arrives, we begin producing the fullest most flattering live holiday decorations. An evergreen filled pot is a great long-lasting decoration. With fresh, fragrant greens and festive accessories, these beauties ring-in holiday cheer. Porch pots are ideal for the step at your front door, and placed on your patio or balcony. 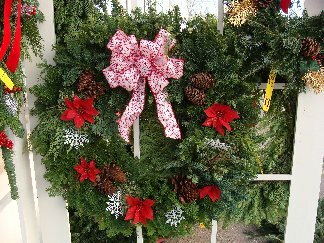 Wreaths and swags made of fresh greens are great decorations for the porch deck and patio. They look great with just a bow or all decked out with holiday trim. They are a wonderful gift for yourself as well as for friends and family members. Call and ask us about delivery services! Honor your loved ones with a custom-crafted grave pillow or blanket. Lean a pillow up against the headstone or place a blanket on the dormant grass. 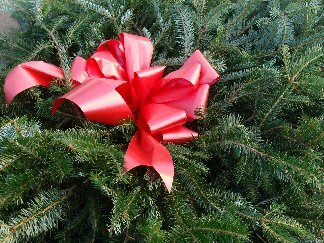 Fraser Fir pieces are shiny dark green and very long-lasting. Choose from out own designs with pine cones, berries, branches or bows. Or, customize your cemetery piece exclusively by working with one of our talented crafters. We all know the time, effort and scrubbing required for a special gathering and feast. It’s nice to offer a gift of appreciation to the host. Surprise the host with a special thank you. 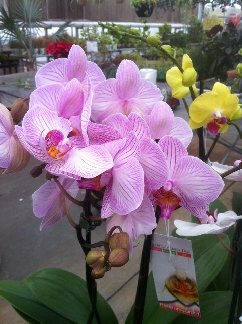 A gorgeous, delicate looking orchid would be a great idea. These tropical plants like bright indirect sunlight and although they appear dramatic in look, they don’t require dramatic care. For the busiest host, a gardener’s dream plant is a succulent. They are easy, easy care plants that provide total satisfaction to anyone. Of course, and perfectly timed for the holiday, a Christmas Cactus makes a very welcoming gift.